Two people are confirmed dead in separate train accidents reported Tuesday. The fatal accidents are part of four train collisions within a two-hour span. In the first fatal accident, a pedestrian was fatally struck by a light rail train in San Jose just south of the Santa Clara Valley Transportation Authority Fruitdale Station, officials said. The northbound train on the Mountain View-Winchester Line struck the pedestrian just after 4:30 p.m. Tuesday, according to VTA spokeswoman Brandi Childress. Train service was stopped in both directions in the area while emergency crews responded to the collision. In the second fatal collision, BART officials said a person on the tracks was struck by a train at the San Bruno station. The accident was reported at 6:15 p.m. The San Bruno BART station was temporarily shut down and sparked major service delays while crews responded to the incident. The fatal collisions add to two other crashes earlier in the day. 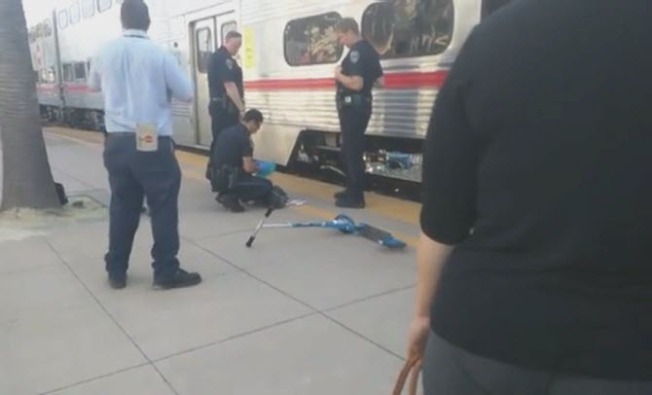 At 4:44 p.m., officials said a man on the railroad tracks was struck by a train at the San Mateo Caltrain station. The incident was reported at 4:44 p.m. Authorities said the man was transported to a hospital. No injuries were reported to anyone onboard the train. In Santa Clara, officials said an Amtrak train struck a pickup truck at Agnew Road and Lafayette Street. The crash was reported at 4:35 p.m. and no injuries were reported to any train passengers. A man in the truck was transported to a hospital with minor injuries, according to Santa Clara Police Lt. Kurt Clarke. The crash is under investigation, Clarke said.